NHL News : Dreger makes bold prediction when it comes to Nylander's future in Toronto! 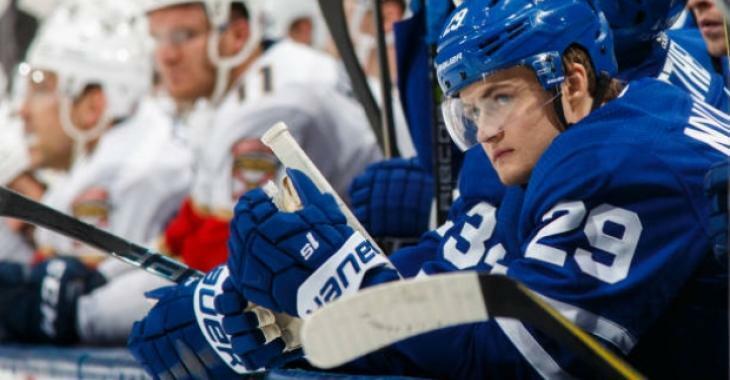 Dreger makes bold prediction when it comes to Nylander's future in Toronto! We’re heard it for weeks now: the Carolina Hurricanes are all-in on potentially trading for free agent William Nylander, and they are not the only team with interest for the talented forward. The Vegas Golden Knights and the Minnesota Wild have also been mentioned in the trade chatter, however, it hasn’t convinced NHL insider Darren Dreger that the Toronto Maple Leafs will move him… in fact, the TSN insider believes that general manager Kyle Dubas will be able to sign Nylander before the deadline of Dec. 1. On Tuesday, Leafs Lunch host Andi Petrillo asked Dreger where things stand with the Hurricanes, the Leafs and especially Nylander. It is believed the Canes might be willing to part with blue liner Brett Pesce, who’s on a long-term deal at a reasonable cap price. “Do we know that the teams with interest, multiple teams with interest have the stomach or the space to pay him $8 million a year, I don’t know that, said Dreger up front. Dreger strongly believes that the confidentiality that has been maintained in the contract talks reveal that both sides will agree to a contract before the deadline falls upon us. Nylander and the Maple Leafs have until December 1st to hammer out a contract or he’ll be unable to play in the NHL this season. We can assume that until this contract impasse gets resolved, several teams will try to get in on the sweepstakes and see where their offer stands.